Finally I have finished the second lot of pillow covers using a charm pack. 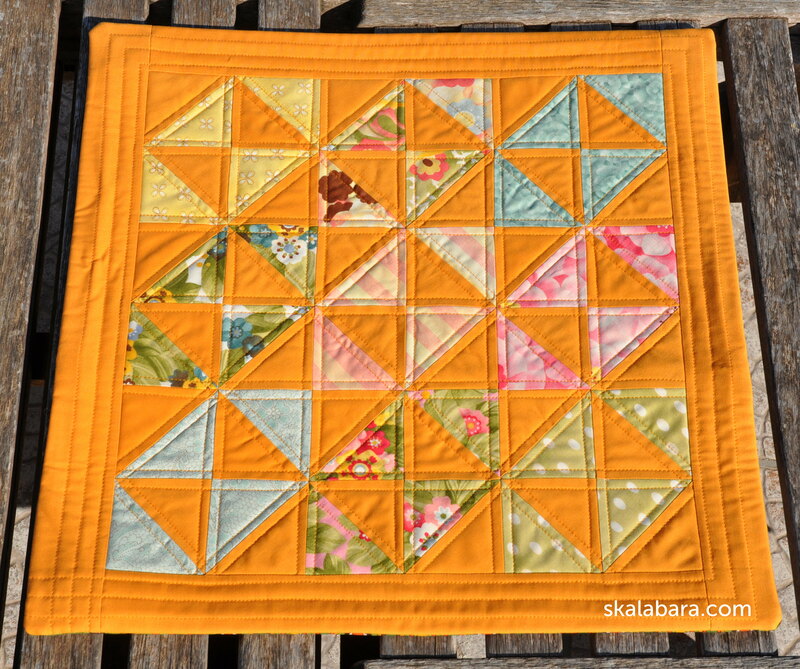 This time my choice was Lulu by Chez Moi for Moda Fabrics in combination with a nice solid orange. All pillow covers are 20″ x 20″ and have a zipper on the back. 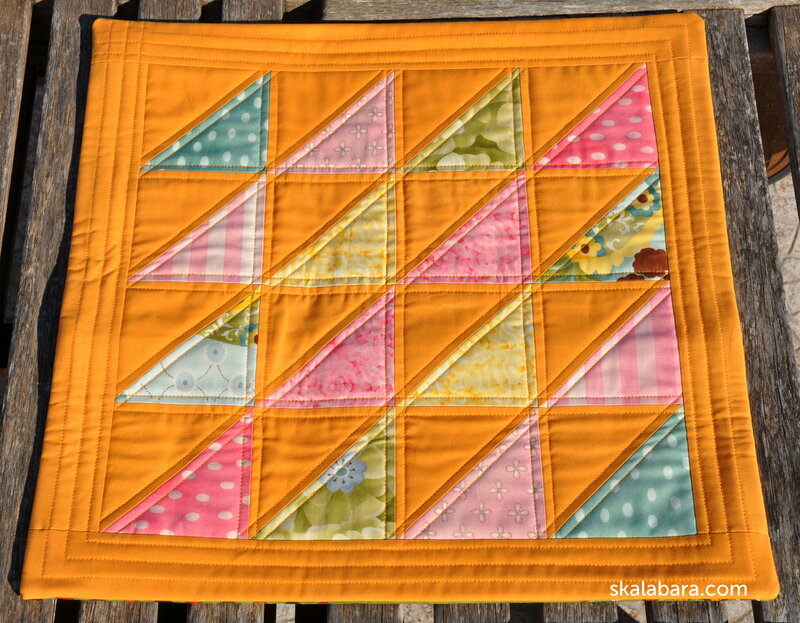 I have made 4 different pillow covers : pinwheel, broken dishes, half-square triangles and hourglass. 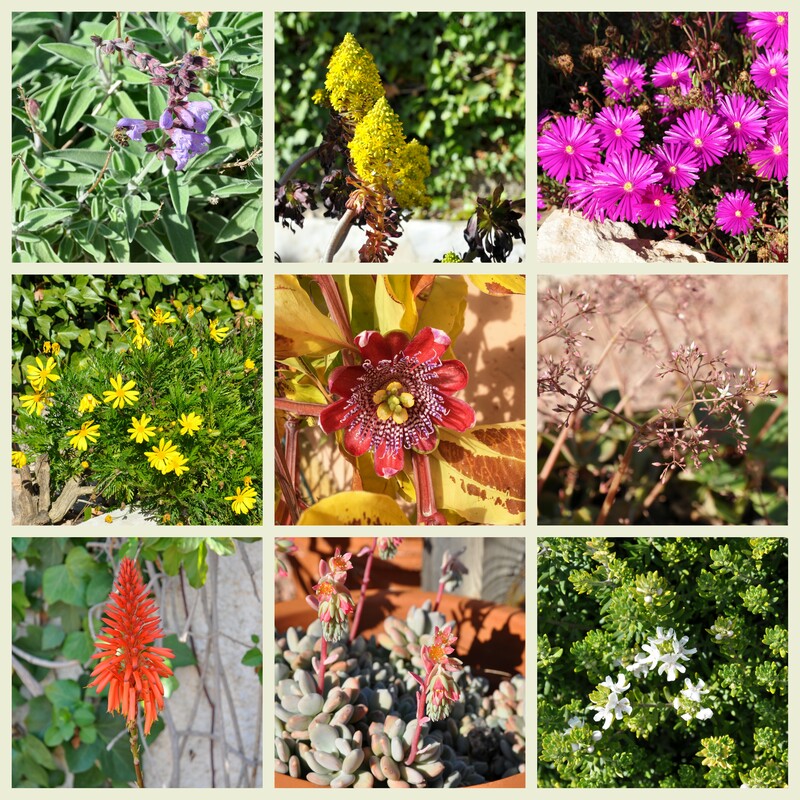 And a collage with all the plants that have flowers in this windy February. 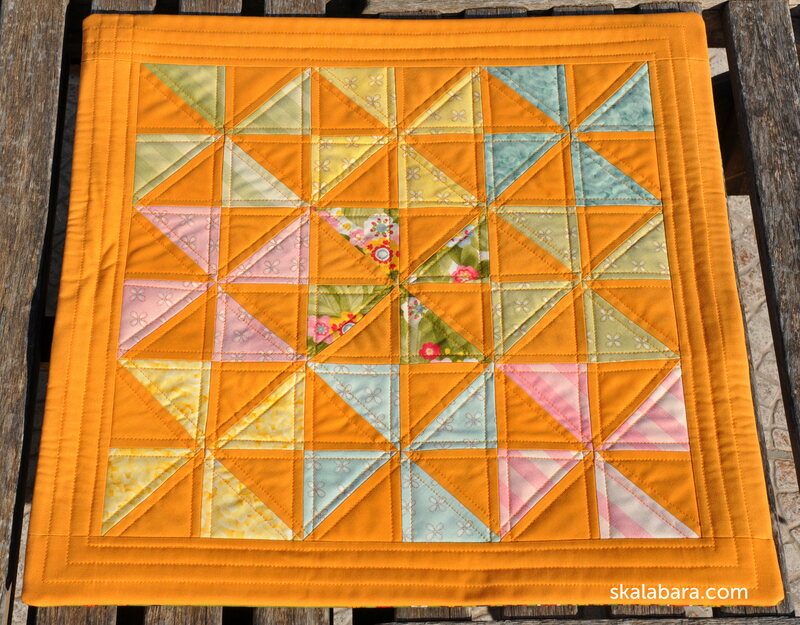 This entry was posted in blocks, patchwork, photos, pillow covers, small projects and tagged block, pillow case. 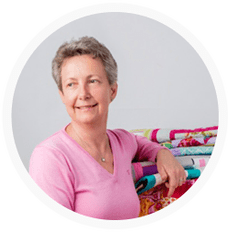 I just have found some of your quilts at Dawanda, and I feel identificated! 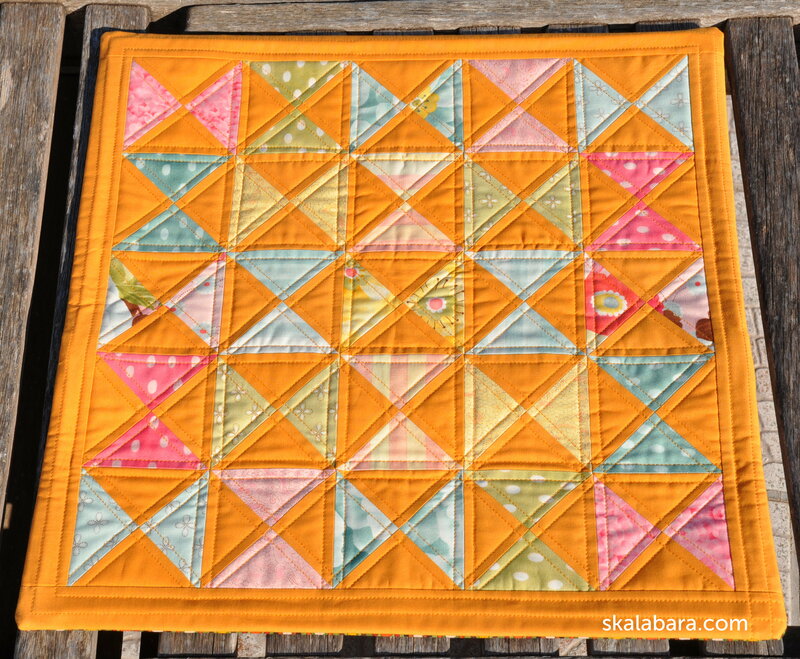 I do quilts too, but in Spain I usually don’t find anything with a lot of colour, like yours! Like them very much. My web is lareinamora.net. My blog la-reinamora.blogspot.com. Wow! Loving that orange – it’s so vibrant & gorgeous.